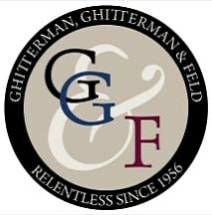 Ghitterman, Ghitterman & Feld handles workers' compensation cases in Bakersfield and cities throughout California. If you or a loved one suffered a work injury, contacting an experienced attorney can have a dramatic impact on your monetary compensation. Schedule a free consultation at one of our offices today. For more than 50 years, our firm has solely represented employees. Whether it is workers' compensation, employment law or Social Security Disability claims, our clients understand that their priorities come first, and we will always fight to protect their best interests. Often, a case involves discussions with the employer's insurance carrier. As certified workers' compensation specialists, we understand what it takes to present a strong, effective case through the course of negotiation. If we cannot reach a beneficial settlement through negotiation, we are prepared to represent you in court. Helping employees for over 50 years. When you need a skilled workers' compensation lawyer on your side, do not hesitate to schedule a free consultation at Ghitterman, Ghitterman & Feld. Our staff of dedicated professionals can provide the compassionate representation you need to recover the full compensation you are owed. Let us help you ensure that you receive the proper workers' compensation or Social Security Disability benefits following an accident or the onset of a medical condition.